The zombie apocalypse has begun, and Major Cordell McDaniels is given the most important mission of his career: lead a Special Forces team into New York City to rescue the one man who can stop the ghastly virus that reanimates the dead. But as a growing army of flesh-eating corpses takes over the streets and a violent storm renders airborne extraction impossible, McDaniels struggles to find a way out of the Big Apple. The odds of anyone getting out alive plummet further when slaughtered members of his own Special Forces team join the ranks of the gathering dead... with their military skills intact! 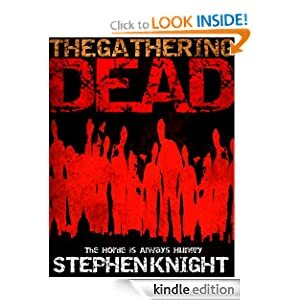 The Gathering Dead or to sample this book for FREE! 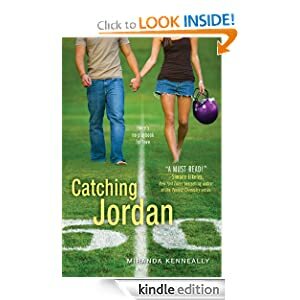 Catching Jordan or to sample this book for FREE! The English army’s siege of Aville has ground to a standstill—until a ten-year-old Scottish lad masterminds a breakthrough. The castle falls easily, giving glory to the king and a place at court to young Adrien MacLachlan. But his greatest reward is still to come. Years later, the king decrees that Adrien shall marry Danielle d’Aville, a maiden of the town Adrien helped conquer. 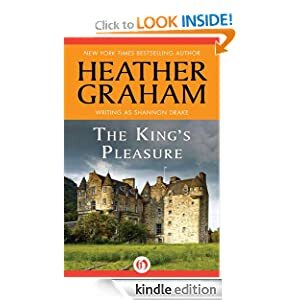 She loathes the strapping Scottish knight, but his strength stirs something inside of her—a passion that betrays everything her vanquished people stand for. As Danielle’s hatred for him pushes her towards treason, her budding love is the only thing that can pull her back from the brink. The King's Pleasure or to sample this book for FREE! 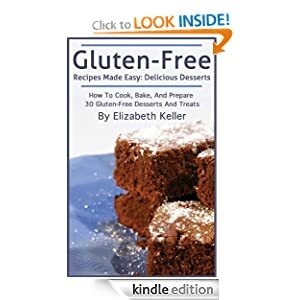 -- This book contains 30 recipes for tasty, 100% gluten-free desserts. The peanut butter cookies are simple to make and delicious, and you have to try the brownie recipe! The "Three Ingredient" cookie recipe is fantastic and worth the price all on its own! With comprehensive ingredient lists and easy-to-follow directions, these delicious desserts are sure to be a hit for your whole family! Gluten-Free Recipes Made Easy or to sample this book for FREE!